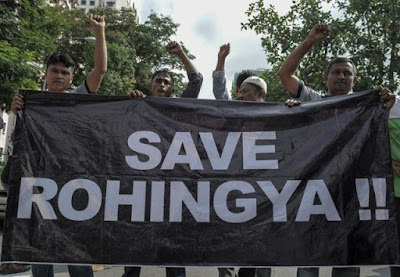 KUALA LUMPUR: The Inter­na­tional Movement for a Just World (JUST) is organising a seminar focusing on the Rohingya refugee crisis in Myanmar. Titled World Beyond War: The Rohingya Refugee Crisis and its Implications on Security in the Asean region, the seminar will provide an opportunity to assess the issue. The speakers will be United Nations High Commissioner for Refugees representative to Malaysia Richard Towle and former Suhakam chairman Tan Sri Hasmy Agam. Despite significant public attention on the crisis, JUST noted that Rohingya refugees were not welcomed by other countries in Asean. It said they were increasingly viewed as possible threats to national security and associated with the rise of terrorism and transnational crime, apart from also being seen as an economic burden. According to JUST, a strong multilateral co-operative approach was urgently needed in line with Asean’s “people first” policy to stop the geno­cide against the Rohingya. Admission to the seminar, sche­duled for 9am on Sept 24 at Institut Integriti Malaysia in Bukit Tunku, is free but seats are limited to 100 participants. For enquiries, call JUST at 03-7781 2494/2497/03-7772 0773 or e-mail hassanal@just-international.org.